• Runs directly from the DVD, no installation needed, just place the DVD into your drive and the manual will run automatically. • Input your current mileage and the manual will automatically generate the maintenance service schedule your model requires. K75C 1985 - 1988. K75RT 1990 - 1996. K100RT 1984 - 1988. K75S 1986 - 1996. K100RS 1983 - 1990. K100LT 1986 - 1992. K75 and K100 haynes manual (300001). K100 1983 - 1986. • Runs directly from the DVD, no installation needed, just place the DVD into your drive and the manual will run automatically. • Includes a quick start guide instruction leaflet. To check whether this is the correct manual for your bike the 4th, 5th, 6th and 7th digit of your vehicle VIN number represent model code designation. • Runs directly from the DVD, no installation needed, just place the DVD into your drive and the manual will run automatically. K 1200 GT (0587 ) 2002 - 2009. K 1200 GT (0597 ) 2002 - 2009. K 1200 GT (0587, K44). K 1200 GT (0597, K44). K 1200 R (0584, K43). K 1200 R Sport (0585, K43). K 1300 R (0518, K43). K 1200 R (0594, K43). K 1200 R Sport (0595, K43). K 1300 R (0519, K43). 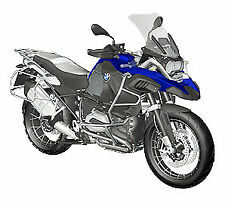 R1200GS LC (0A41, K50)R1200GSA LC (0A02, K51). R1200GSA LC (0A22, K51). R1200GSA LC (0A32, K51). R1200GSA LC (0A42, K51). R1200GSA LC (0A12, K51). • Runs directly from the DVD, no installation needed, just place the DVD into your drive and the manual will run automatically. BMW PART NUMBE R 01 79 0 137 531. K75 LOW SEAT1989. This hands-on experience combined with extensive research results in a manual that is both user-friendly and detailed. Hundreds of original photos and illustrations guide the reader through every job. 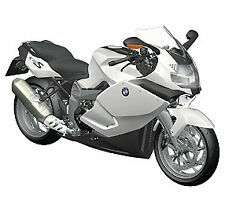 Here we have for saleGENUINE 2009 BMW K 1300 S OWNERS MANUAL in good, usable condition. USED, 10 YEARS OLD BOOK. If you are unhappy for any reason we can help. Ireland and the. Covers K75,K1,K100. circa 1984-1988. BMW K-series Motorcycles by Mick Walker & Peter Dobson. Haynes Product Code. F724. Published 1989. BMW K1200RS, GT & LT 1998-2010. This hands-on experience combined with extensive research results in a manual that is both user-friendly and detailed. Hundreds of original photos and illustrations guide the reader through every job. K75 740cc 87 - 96 UK. K75 740cc 88 - 95 USA. K100 987cc 83 - 90 UK. K100 987cc 84 - 86 USA. Haynes Manuals produce a wide range of informative, practical manuals and books suitable for novices and experts alike. Service Manual for the 2011 onwards K1600 range.Written around the 6000, 12000, 18000 mile and annual services. BMW K1600 GT / GT Sport / GTL. Well I have to say what a professional job, well written and clear, you must be a technical author to turn out this kind of work. K100 & K75. Complete coverage for your BMW K100 & K75 2-valve Models (1983 - 1996). K100 (UK) 987cc 1983 - 1990. K100 (USA) 987cc 1984 - 1986. Book Number: 1373. With a Haynes Manual, you can do it yourself, from simple maintenance to full repairs. Two little marks top and bottom front corner. Genuine BMW K 1200 S Riders manual. K1200GT (pre 06 type) 2003 - 2005. 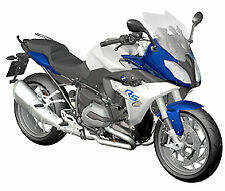 For BMW K1200RS 1998 - 2005. and K1200LT 1999 - 2010. 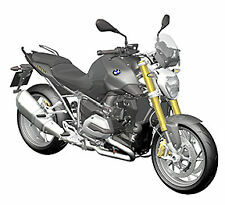 Motorworks UK are the UK's largest independent supplier of new and used parts for BMW motorcycles. Don't be afraid to ask if you require any further information regarding a listed item. RARE BMW K100RS K 1000 RS 1993 Genuine Factory Sales Brochure Fact Sheet - LOOK! An A4 colour two sided fact sheet. Original and genuine 1993 item in great condition. K75 1985-96. K75 740cc 87 - 96. K100 (2-valve) 1983-92. K100 987cc 83 - 90. With a Haynes Manual, you can do it yourself, from simple maintenance to full repairs. Every Manual is based on a complete stripdown of the bike. R1200ST (0328, K28). R1200ST (0338, K28). R1200S (0366, K29). R1200S (0396, K29). • Runs directly from the DVD, no installation needed, just place the DVD into your drive and the manual will run automatically. BMW MOTORCYCLES RANGE Sales Brochure From 1985-86 MODELS FEATURED: K75C, K75S, K100, K100RS & K100RT. PUBLICATION No: 5 11 20 33 20 9/85. FORMAT: Stapled Brochure, 28 Pages. LANGUAGES: English. ILLUSTRATIONS: Colour Photographs. SIZE APPROX: 11 ¾”x 8 ¼”. CONDITION: Overall condition is VERY GOOD. Handling marks, light discolouration & minor creases appear throughout with bumps/wear to the corners/edges. BMW K75 1987-96. BMW K75 C 1985-88. BMW K75 T 1986-87. BMW K75 S 1986-96. BMW K75 RT 1990-96. Dated 2014, still current in 2015. Condition: Near Mint. BMW K1, K100RS, K100LT, K100, K75S, K75 MOTORCYCLE Sales / Specification Brochure From: October 1989 Publication No: 9 11 20 42 20 Format: 12 pages stapled. Language: English. Illustrations: Colour Photographs. Size Approx(HxW): 29.7cm x 21cm Condition: Very Good. Handling wear creases. Please see attached photographs and if you require any further details we will be more than happy to assist. R1200R (0400, K27) R1200R (0A04, K53). R1200R (0490, K27) R1200R (0A14, K53). R1200R (0378, K27). R1200R (0398, K27). • Input your current mileage and the manual will automatically generate the maintenance service schedule your R1200R model requires. Covers: BMW K-SERIES, 1985-1997 K75 Low Seat (1989), K75 (1989-1995) K75T (1986-1987). Motorworks UK are the UK's largest independent supplier of new and used parts for BMW motorcycles. Don't be afraid to ask if you require any further information regarding a listed item. This BMW Original Rider's Handbook covers the K100, K100RS & K100RT models produced during 1984. A rare opportunity to obtain this original handbook. 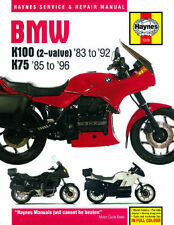 BMW K 100 RS (8 Valve) (Europe) 1983-1989 Manuals - Haynes (Each). 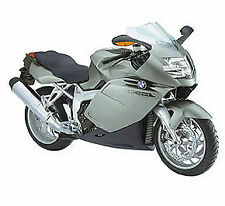 BMW K75 and K100 Models Repair Manual Used. 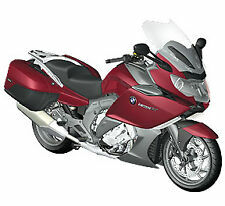 BMW K75 and K100 models Genuine Repair Manual part number 01.51.9.798.791.printed inW/Germany 04/88. K 1300 S (0509,K40/11 -US). K 1300 S (0508,K40/11). K 1300 R (0519,K43/11 -US). K 1300 R (0518, K43/11). K 1300 GT (0539,K44/31 -US). K 1300 GT (0538, K44/31). R1200GS LC (0A01, K50). 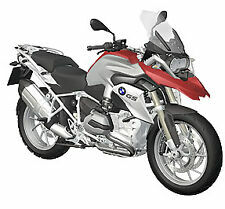 R1200GS LC (0A21, K50). R1200GS LC (0A31, K50). R1200GS LC (0A41, K50). R1200GS LC (0A11, K50). • Input your current mileage and the manual will automatically generate the maintenance service schedule your R1200GS LC model requires. Whether you're a beginner or a pro, you can save big with Haynes! Wiring diagrams. Steering, suspension and final drive. Brakes, wheels and tires. Ignition and electrical systems. Fuel and exhaust. BMW RANGE MOTORCYCLES Sales Brochure FROM: September 1987. PUBLICATION No: 9/87 711 200 720. MODELS FEATURED: K100LT, K100RT, K100RS, K100, K75S, K75C, K75, R100RT, R100RS, R100GS, R80GS, R80RT, R80, R65. FORMAT: 32 Pages Stapled. LANGUAGES: English. ILLUSTRATIONS: Colour Photographs. SIZE APPROX: 29.5cm x 21cm. CONDITION: Very Good. Handling and storage marks and creases. Please see attached photographs and if you require any further details we will be only too happy to assist. F 800 R (0217, K73). F 800 R (0215, K73). F 800 R (0224, K73). F 800 R (0B04, K73). F 800 R (0B24, K73). F 800 R (0B34, K73). F 800 R (0B44, K73). F 800 R (0227, K73). S1000R (0D02, K47). S1000R (0D22, K47). S1000R (0D32, K47). S1000R (0D42, K47). 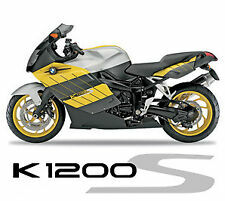 S1000R (0D12, K47). • Runs directly from the DVD, no installation needed, just place the DVD into your drive and the manual will run automatically. FOR BMW K100 & K75. HAYNES SERVICE AND REPAIR MANUAL. RARE BMW K1100LT K 1100 LT 1993 Genuine Factory Sales Brochure Fact Sheet LOOK! RARE BMW MOTORCYCLE K100 LT RS K75 75S SALES BROCHURE 1988 + ACCESSORIES - LOOK! RARE BMW K75 K 75 1993 Genuine Factory Sales Brochure Fact Sheet - LOOK!